Polio is a crippling and potentially deadly infectious disease caused by the poliovirus, a human enterovirus, that spreads from person to person invading the brain and spinal cord and causing paralysis. Because polio has no cure, the polio vaccine is the best way to protect yourself and the only way to stop the disease from spreading. In a case study that will be presented at the 2014 American Academy of Neurology meeting, researchers report the discovery of a polio-like illness that has been found in a cluster of children from California over a one-year period. This outbreak isn’t a result of anyone’s refusal to be vaccinated against polio, since all of the children in this study had been previously vaccinated against the poliovirus. The United States last experienced a polio epidemic in the 1950s, prior to the introduction of the polio vaccine 60 years ago. Today, polio has been eradicated from most of the planet, as the number of worldwide polio cases has fallen from an estimated 350,000 in 1988 to fewer than 223 in 2012—a decline of more than 99% in reported cases. The authors of the case study, Keith Van Haren, MD of Stanford University and Emanuelle Waubant, MD of the University of California, San Francisco, observed several of these cases at their medical centers and decided search for other similar cases in California. They reviewed all polio-like cases among children who had samples referred to California’s Neurologic and Surveillance Testing program from August 2012 to July 2013. Cases were included in the analysis if the children had paralysis affecting one or more limbs with abnormal MRI scans of the spinal cord that explained the paralysis. They did not include children who met criteria for Guillain-Barré syndrome and botulism, which can cause similar symptoms, but are unrelated. Five children experienced paralysis of one or more arms or legs that came on suddenly and reached the height of its severity within two days of onset. Three of the children had a respiratory illness before the symptoms began. One of the authors, Dr. Van Haren, stated that “although poliovirus has been eradicated from most of the globe, other viruses can also injure the spine, leading to a polio-like syndrome. In the past decade, newly identified strains of enterovirus have been linked to polio-like outbreaks among children in Asia and Australia. 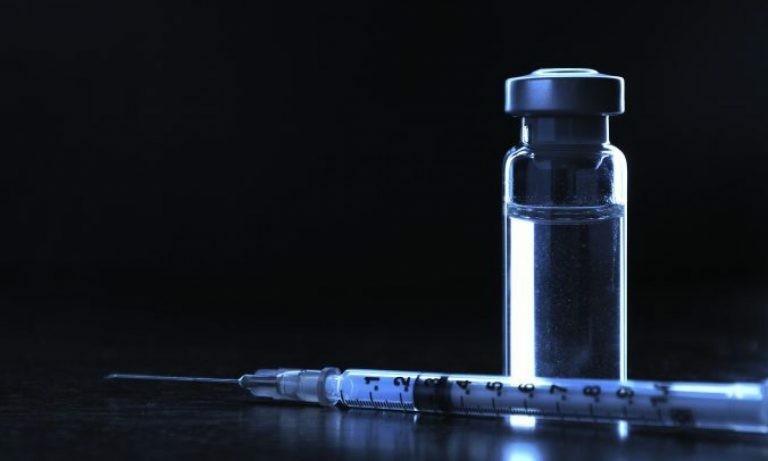 These five new cases highlight the possibility of an emerging infectious polio-like syndrome in California.” In other words, the newly identified disease is polio-like in symptoms, it is not a poliovirus. Two of the children tested positive for enterovirus-68, a member of a genus of viruses that include over 66 different species that can infect humans. EV68 is a very rare virus and was identified in the early 1960’s in polio-like infections of California children. In other words, this virus has been around in humans for quite a long time. The EV68 did not “evolve” from polio, and given its extreme rarity, it’s probably just a random event. 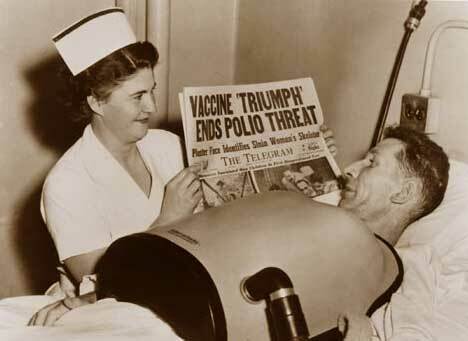 And there is NO evidence that the polio vaccine caused the outbreak. One could use the Argument from Ignorance, and state that “yeah but you have not provided any evidence that it hasn’t caused the polio-like symptoms.” Sure, but I cannot provide any evidence that alien abductions didn’t cause the symptoms. Or that it’s not caused by sasquatch. I want to remind my readers that everything I’m writing here is based on a press-release from the American Academy of Neurology for an abstract that’s going to be presented at their annual meeting. In other words, according to my ranking of scientific sources, this is near the bottom. Although this case study may be valuable, it is not peer-reviewed (yet), and further information may be uncovered that provides us with a better understanding of what was observed. Stay tuned. What can we conclude from this case study? Not very much. There are a lot of rare diseases, some serious. For the parents of these children, it’s definitely sad and frustrating, because it appears that the paralysis may not be treatable. If the virus becomes more widespread, and more outbreaks occur (or are recognized because of this study), a new vaccine may have to be developed. This is why we have epidemiologists, infectious disease specialists, virologists and microbiologists at leading institutions like these medical schools, WHO and the CDC who monitor diseases. They are the frontline heroes of detecting, treating and eventually preventing novel diseases. We should be thankful to them. Editor’s note: This article was originally published in February 2014. It has been revised and updated to include more comprehensive information, to improve readability and to add current research. This is the first in a series of articles about the enterovirus. Oberste MS, Maher K, Schnurr D, Flemister MR, Lovchik JC, Peters H, Sessions W, Kirk C, Chatterjee N, Fuller S, Hanauer JM, Pallansch MA. Enterovirus 68 is associated with respiratory illness and shares biological features with both the enteroviruses and the rhinoviruses. J Gen Virol. 2004 Sep;85(Pt 9):2577-84. PubMed PMID: 15302951.